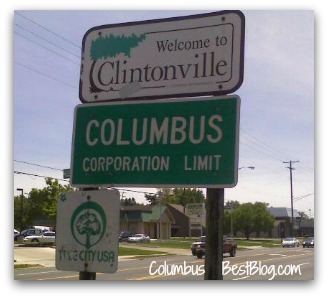 ’365 Places to Live in Columbus‘ is a page on Facebook about central Ohio real estate, communities and neighborhoods. I get that people like Facebook. I like Facebook a lot more than I did when I joined… I believe I joined Facebook as a person in 2007. I liked Twitter a lot more than Facebook back then. Song lyrics… I guess the song lyrics are “People who need people.” The Facebook page ’365 Places to Live in Columbus’ is one of two wait make that three Facebook real estate pages I started. The page called ‘Discover Columbus’ which featured posts from the DiscoverColumbusOH.com site which is a real estate blog affiliated with the ActiveRain real estate network. The ‘Discover Columbus’ page is scheduled to be deleted from Facebook. Although more people Like the ‘Discover Columbus’ Facebook page than the ’365 Places to Live in Columbus’ Facebook page, the ‘Discover Columbus’ Facebook page must die. I could have simply linked my Facebook business page to my HER Realtors (the real estate brokerage was Real Living HER at the time but that’s another story) website… I did not. Being kind of backward when it comes to Facebook, I just discovered today that a number of Facebook pages like the ’365 Things to do in Columbus Ohio’ Facebook page. Some of the Facebook pages I know like the COTA page. 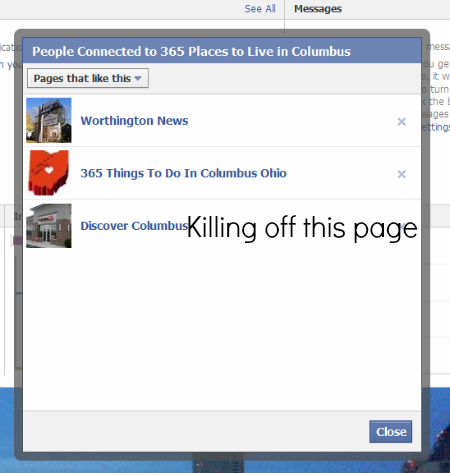 The ’365 Things to do in Columbus Ohio’ page probably liked the COTA page first. Not that riding the bus is necessarily a fun thing to do in Columbus. Riding the COTA bus can be part of taking part in events in central Ohio. The ’365 Things to do in Columbus Ohio’ Facebook page shared (re-shared) a Columbus event shared by COTA.